Tell me about what your book is about. 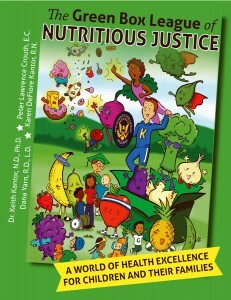 The book is a comprehensive guide for kids to learn about nutrition, exercise, and healthy living. The book includes comic book stories with nutrition lessons, healthy recipes, exercise programs with pictures and adult education on healthy living and nutrition. It is great for both adults and children. What are some kinds of healthy foods that kids can eat for school? A high fiber sandwich or wrap loaded with low sodium cold cuts and vegetables with fresh fruit and some trail mix is a satisfying lunch that will keep their energy up to focus in school and after school at practices. Sushi, yogurt parfaits, lettuce wraps are also great options for school lunch and snacks. What would you recommend to families who are trying to get their kids to eat healthy? Avoid being a “food cop.” Don’t force or nag your kids to eat foods they don’t like. Keep healthy choices around the majority of the time and if a treat slips in here or there that is okay too. Learning healthy habits should be fun for the whole family and of course result in a long-term lifestyle change. If your child feels deprived they will sneak food and gorge when you are not looking. Making healthy foods taste good and do it together, modifying their favorite recipes at mealtime will result in a healthy relationship that will hopefully last a lifetime. Adopt the plate method. Teach them what their plate should look like at each meal. Every time they eat they should have high-quality protein, a fruit, vegetable and a carbohydrate that is not processed, like rice, potatoes, etc. Cook two different vegetables at mealtime so they have a variety to fill up half of their plate with. Use vegetables instead of starches when possible to make the plate method easier, examples include mashed cauliflower, Zucchini noodles, etc. Nutrition education can be taught daily. Families typically eat breakfast and dinner together, there are multiple opportunities to teach your child how to eat well and make healthy choices. Parents can exert incredible influence, even when it’s not always welcome, to ensure their kids grow with healthy habits. Like anything leading by example is the most powerful way to influence your child. Thus, you should model positive behavior around food. Avoid snacking on empty calories like chips and candy regularly, the, “do as I say and not as I do,” theory works poorly when it comes to healthy eating and your kids. Even your own child will not respect your wishes if you are being a hypocrite. Involve your children with daily food choices. Take your children with you to grocery shop and involve them with meal preparation. Both are great steps toward improving their knowledge of nutrition. Try a new fruit or vegetable every week and look up recipes together on how to prepare the new produce. Any more information about the book or nutrition that you have would be very helpful. Make it fun. Download educational apps, Green Box Heroes is a free app that includes animated colorful heroes, educational stories, coloring, spelling and exercises. 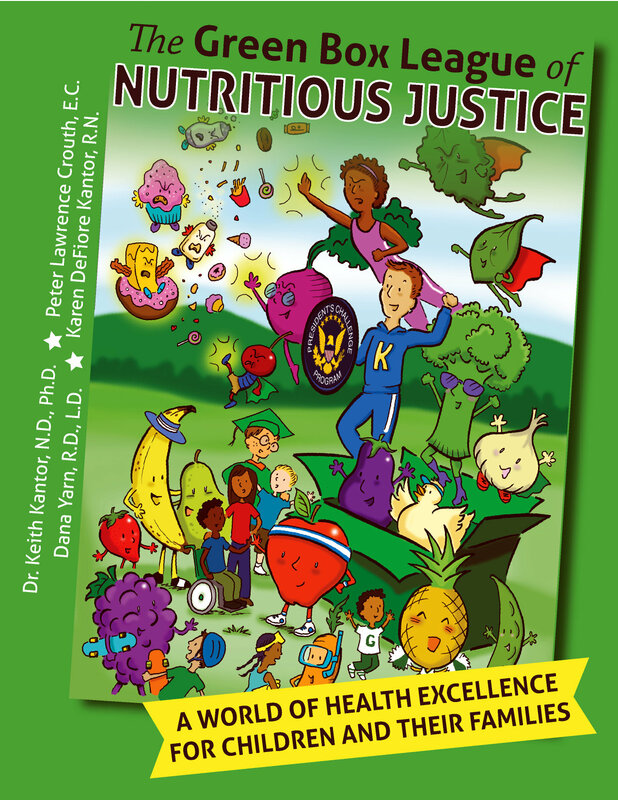 You can purchase the actual book, The Green Box League of Nutritious Justice, which includes even more exercises, fun super heroes, educational stories, and kid friendly recipes that they entire family will love.